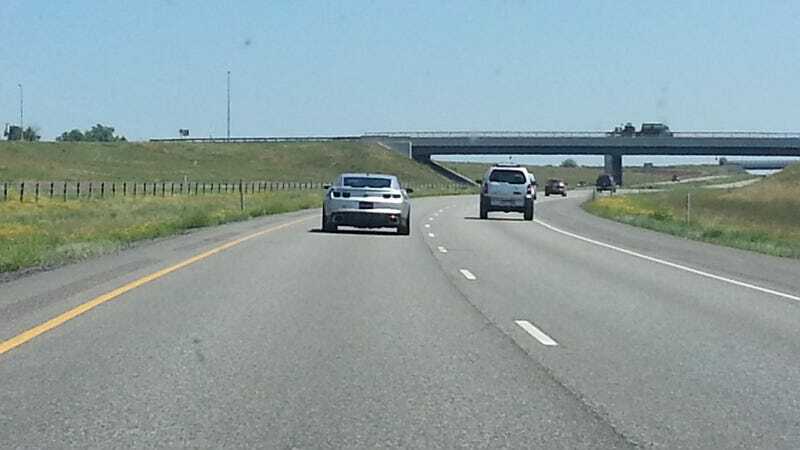 Hennessey hpe600 headed east leaving Denver. Just cruising along. New paperwork In the window. Is nice.